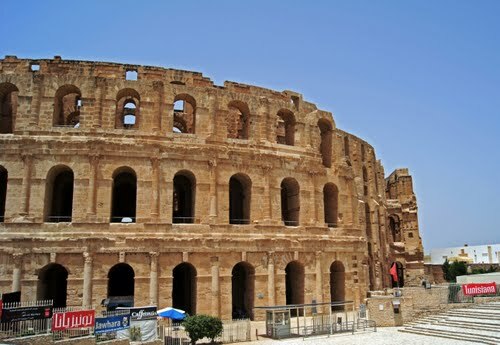 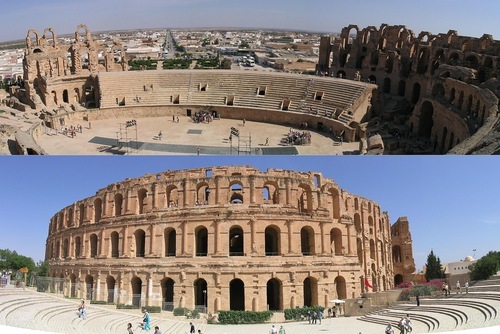 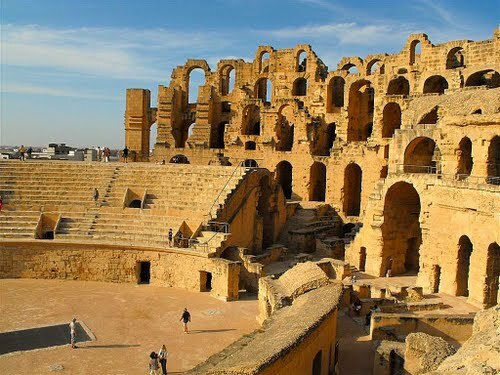 El Djem is famous for its amphitheater, often incorrectly called a Colosseum (roughly translated from Latin as 'that thing by the Colossus'), which is capable of seating 35,000 spectators. 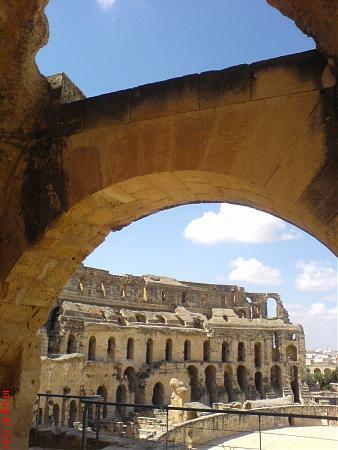 Only the Flavian Amphitheater in Rome (about 50,000 spectators) and the ruined theatre of Capua are larger. 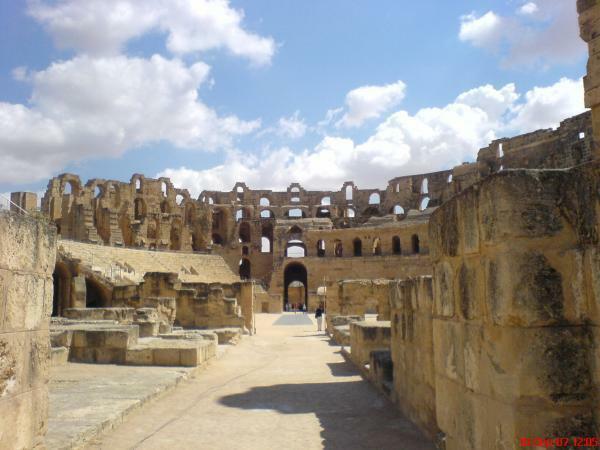 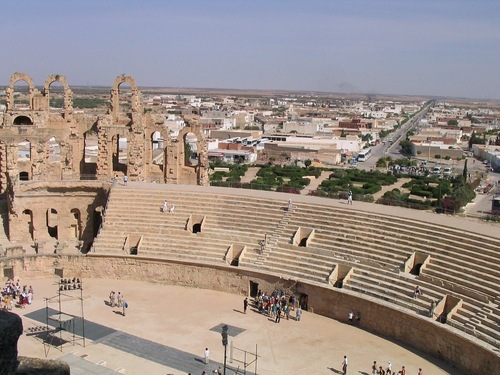 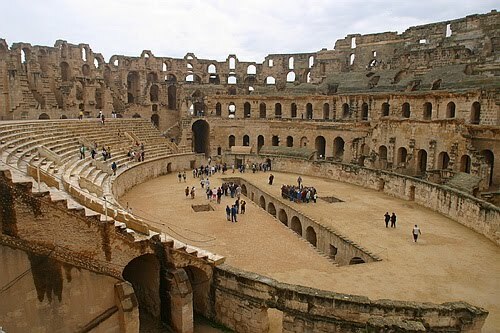 The amphitheatre at El Djem was built by the Romans under proconsul Gordian, who was acclaimed Emperor at Thysdrus, around 238 and was mainly used for gladiator shows and small chariot races (like in Ben-Hur). 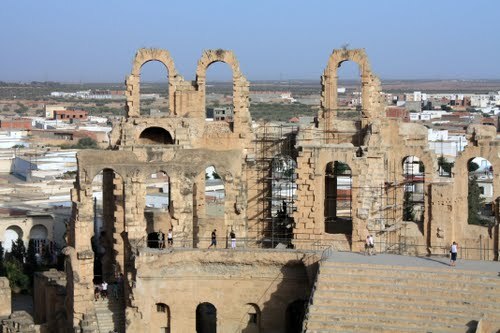 Many tourists come here to see what it was like to be inside what was once a place where lions and people met their fate. 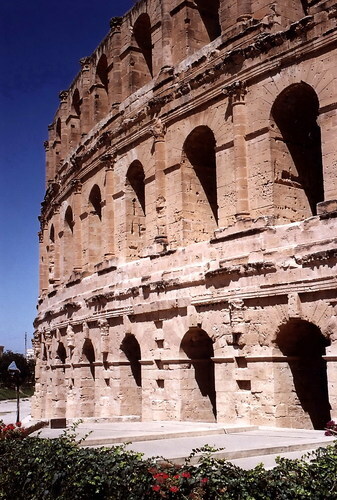 Much of it is crumbled but the essence of it still remains. 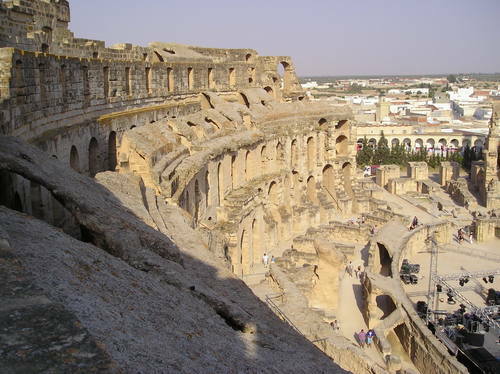 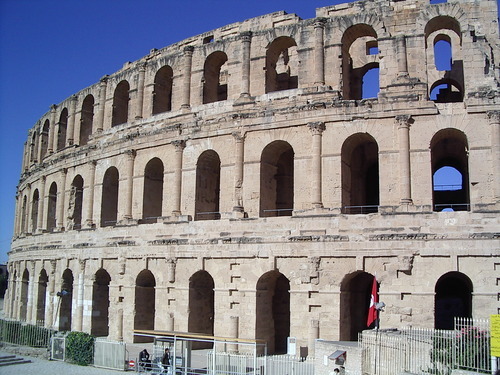 It is also possible that construction of the amphitheatre was never finished. 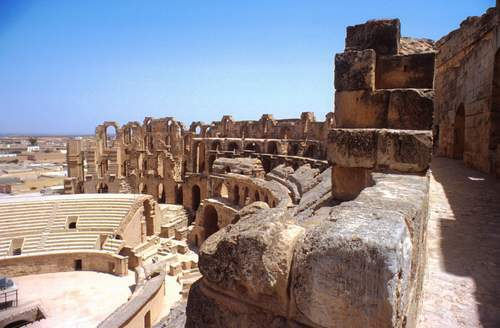 Until the 17th century it remained more or less whole. 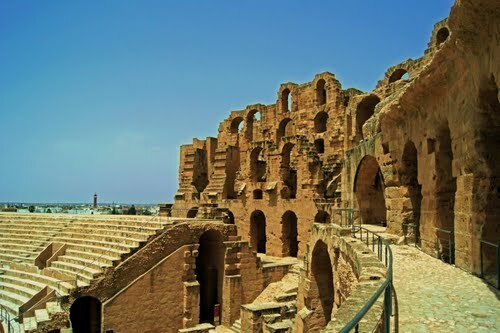 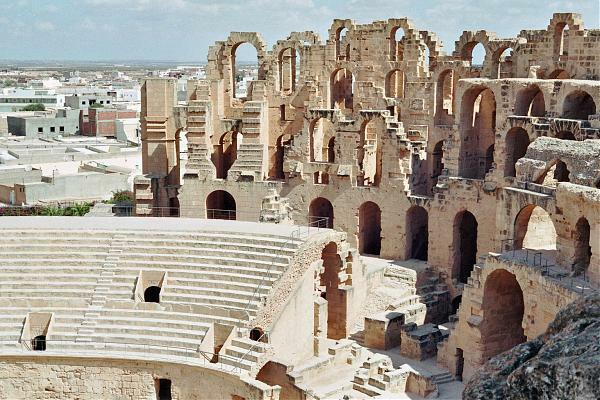 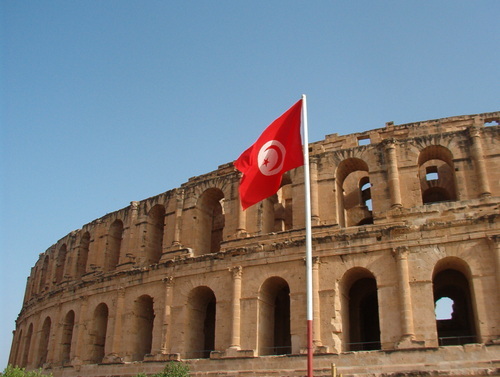 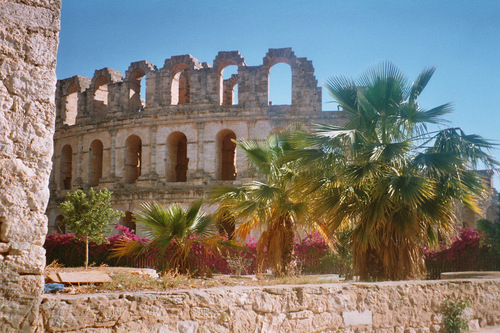 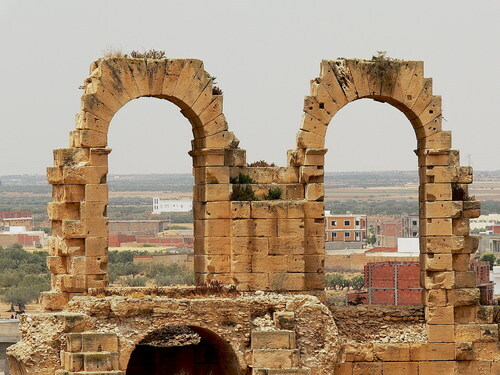 From then on its stones were used for building the nearby village of El Djem and transported to the Great Mosque in Kairouan, and at a tense moment during struggles with the Ottomans, the Turks used cannons to flush rebels out of the amphitheatre. 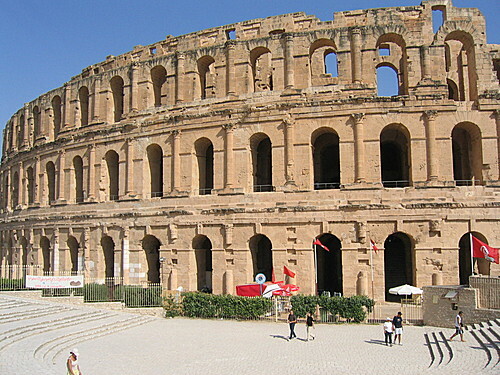 The ruins of the amphitheatre were declared a World Heritage Site in 1979. 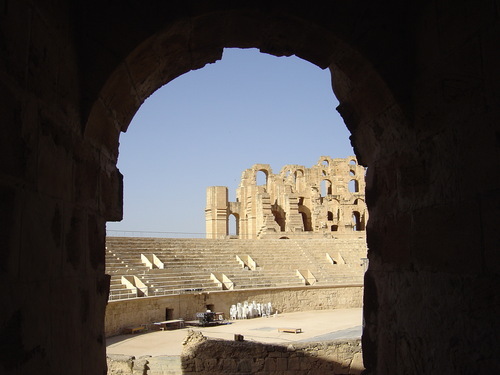 It hosts the annual Festival international de musique symphonique d'El Jem. 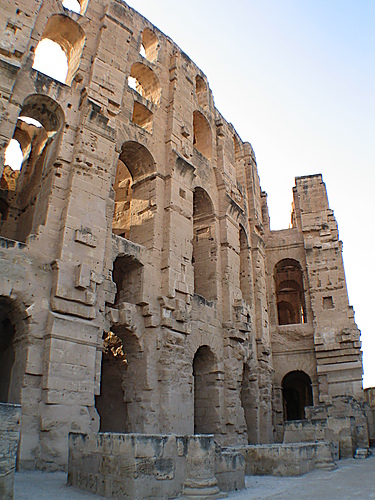 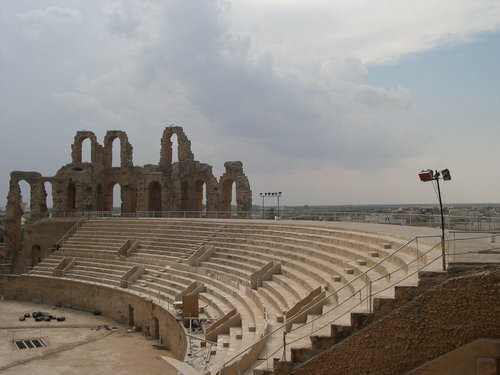 Amphitheatre of El Jem, Tunisia.